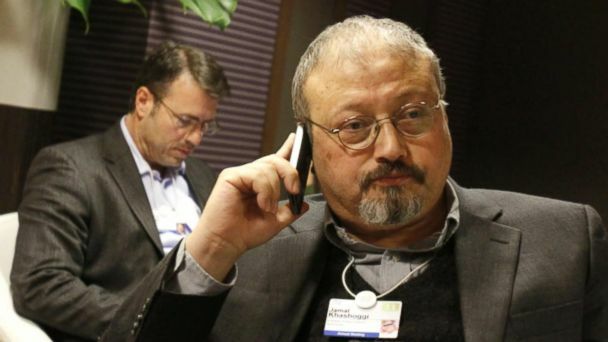 Sitting in my suburban American kitchen, it is easy to feel that Saudi Arabia is a world away, that events at the Saudi consulate in Istanbul - as gruesome as they now seem to have been - have little to do with me. Those were the years before 9/11 changed the world. In the heady and dangerous latter half of 1994, Islamists - many of them fresh from Osama bin Laden's training camps in Afghanistan - won the upper hand in Yemen's civil war. I was possibly the only Western woman covering the northern front of the war, where they led the fight. Jamal also had a playful streak, and a soft spot for electronic gadgets. He had the tiniest Japanese tape recorder I'd ever seen - about half the size of a deck of cards, with a microphone the size of a blueberry. And he had a passion for the Nintendo Game Boy. It seemed like he had every model and game, and between our long discussions about Islam, he would expound on the evolution of the games. He played them as he waited for interviews to begin, or in the long car rides across Yemen. A non-believing American blonde and a tall devout Saudi - we must have been a sight as we traversed Yemen, visiting mosques and meeting Islamic leaders of various persuasions. Jamal was protective of me in danger zones while respectful of my personal space. He was also ready to listen to criticism of Islam. On one holiday in Yemen, Jamal went into a mosque while I - along with dozens of Yemeni women - was left to listen to the sermon while seated in the dusty streets outside. It was a long sermon, and as it went on I became angrier and angrier. "Why should 50 percent of the population cover themselves and be forced to sit outside because the other 50 percent of the population can't behave themselves?!" I shouted at him later.